Empty restaurants tend to turn people off, yet in this busy street of smart bars and eating places (a fair few curry houses), River Spice was buzzing so it must have something going for it. I’m always a sucker for a fresh-smelling sizzling dish. It’s the theatre. So when a very tasty tandoori (no false colour added) arrived at the next table, I was hooked. ‘That’s the Mixed Grill’, (£10.95) the passing waiter told me when pressed, although he looked a little uncertain. But when the Mixed Grill (Tandoori Chicken, Chicken Tikka, Lamb Tikka and Seekh Kebab) arrived the sizzle had mysteriously disapeared (in all senses). It wasn’t the same dish the neighbouring table was enjoying (more likely it was Chicken Shashlik, £7.50) and it wasn’t sizzling. Look, if it’s theatre you’re after at the table then it’s theatre you should get. Still, the replacement Punch and Judy show looked okay. Er… sadly not. A Mixed Grill of (really) tough lamb and over-cooked chicken; just why was this place busy? Had the chef who won the 2010 Curry Chef of the Year Award from Brighton & Hove City Council moved on? The saving grace of the dish was the beautifully spiced Seekh Kebab. Very tasty. The Chicken Tikka Chilli Masala (£7.50) redeemd things to some degree with its eye-watering chilli kick, although if you skirted the fresh chillis, the sauce was surprisingly tomato-based bland. Maybe I just had the hump at this stage. Which was not helped by the Papadum Tax either. A whopping £3.60 for four paps indeed, thanks to 60p per papadum and £1.20 for the chutneys. I kid you not. 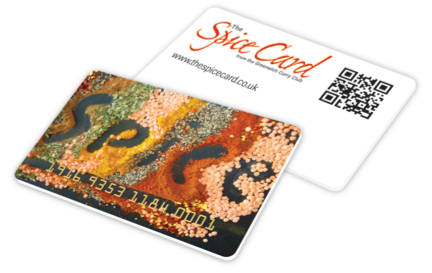 River Spice, 17 Preston Street, Brighton, BN1 2HN. Tel: 01273 739 183. Open: lunch daily except Friday, and daily 6pm-11pm. Hey don’t be shy. Next time, just ask the diners what they are eating. I did have a rather forward friend who would ask if he could taste a bit…that’s going too far. Then again, what a dumb waiter for not knowing what he was serving. Haha, yeah, you’re right… But it might have broken into a full-blown conversation. Now, that can’t be done. We are British after all!